Pitt students will soon have the opportunity to fit their big ideas into one space — a workplace that will harbor the tools and resources they need to make these ideas a reality. This year the University of Pittsburgh Innovation Institute, an organization focused on entrepreneurship and innovation, announced the establishment of a Big Idea Center, a space where students can translate forward-thinking projects into real-world enterprises. The center was announced during the 10th annual Randall Family Big Idea Competition in March, an annual competition that seeks teams of students who have concepts they would like to advance as startup projects. Over the course of February and March, students pitch their ideas and learn to streamline a business model for their project. The top finalists receive money in order to support the teams’ ideas and bring them to life. Pitt’s Innovation Institute shares the Big Idea Competition’s focus on forward-facing ingenuity, providing many programs and events for students since its establishment in 2013. These programs include experiential education with academic partners, mentorships with experienced entrepreneurs, the Blast Furnace accelerator — a program that helps Pitt students commercialize their ideas — as well as hosting competitions. Now, with the formation of the Big Idea Center, all these initiatives share one physical space. 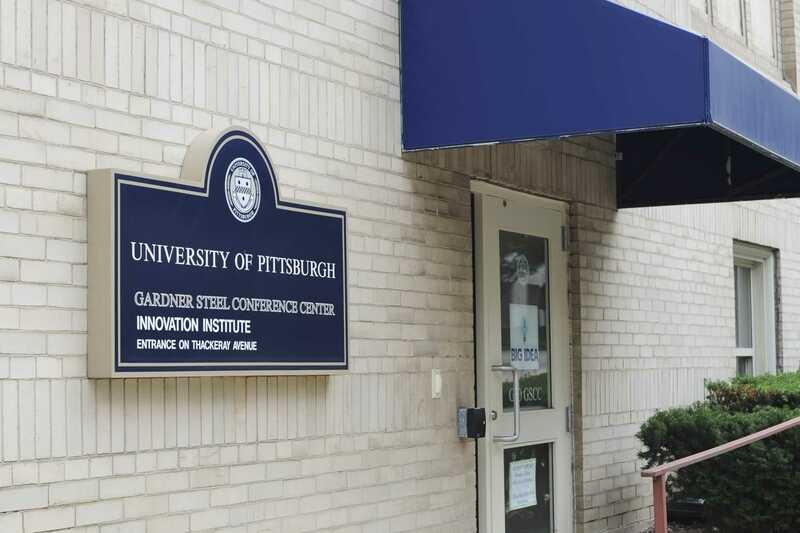 The Big Idea Center is located in the Gardner Steel Conference Center. Student teams who are a part of the Innovation Institute’s incubation programs will have 24-hour access to a space with offices, a conference room, open work areas and complete internet access. Babs Carryer, the Director of Education and Outreach for the Innovation Institute, will work as the director of the Big Idea Center. She said the Center will be a great place for students to collaborate with entrepreneurs. The center is available to undergraduate through post-graduate students. It is also open to those in all schools and areas of study, working closely with various academic departments throughout the campus. “Multidisciplinary teams can bring a different set of skills and perspectives to a project that really can help it be something in the real-world marketplace,” Carryer said. The Big Idea Center collaborates with local accelerator programs, such as Ascender and Alphalab Gear, to ensure that when projects and startup companies graduate from Pitt’s facilities they have a soft landing place off campus. Select teams of students participated in the Big Idea Competition this year and experienced what the center has to offer. Doctorate students in the School of Health and Rehabilitation Sciences Deepan Kamaraj and KaLai Tsang were finalists in the competition for their startup WheelFit — a program that helps disabled people in wheelchairs stay active and track their activity. The Big Idea Center offered support and mentorship to Kamaraj and Tsang as they developed their product — an activity monitor customized for wheelchair users to better optimize their physical activity. “We got access to basic infrastructure we would not have had as a startup company outside the University,” Kamaraj said. Because of the help they received through the Innovation Institute and its associated programs, Kamaraj and Tsang are planning to go forward with forming a company and have a co-founder outside the University. The Big Idea Center will start to build that community with an open networking event on Sept. 20 in the O’Hara Student Center Ballroom. There, students will be able to learn about the calendar of events and programs — and get to thinking.